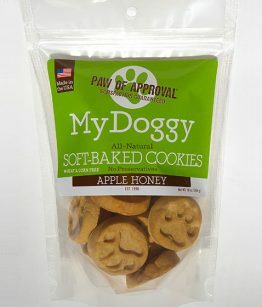 No tricks here: our tasty, soft-baked cookies are the perfect treat for your dog during the Halloween season! 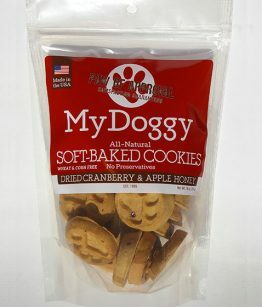 No tricks here: our tasty, soft-baked cookies are the perfect treat for your dog during the Halloween season! 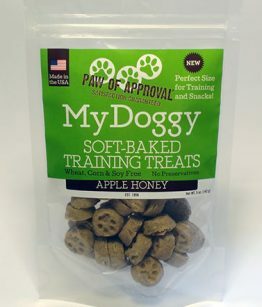 As your dog will be sure to tell you (hint: the slobbering and scratching for more is a definite signal), these treats are fun now and even better, all year round! 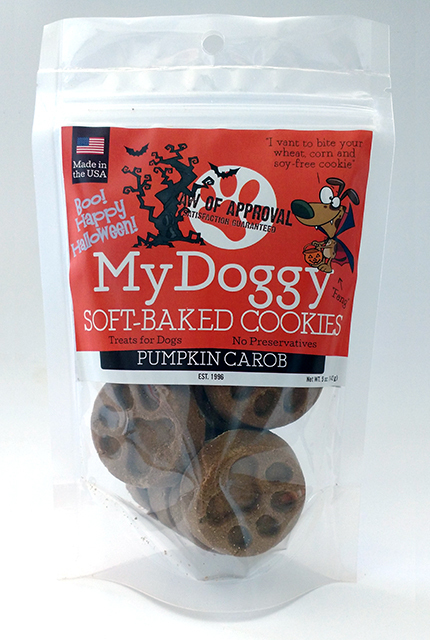 Our Pumpkin Carob My Doggy Bite flavor has a wonderful back story: When My Doggy’s Founder’s children were small, she baked them their favorite cookie – Pumpkin Chocolate Chip flavor. 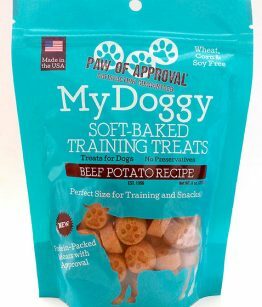 When she had her dog “children” she also made this tasty treat for them except she switched the chocolate chips with carob. 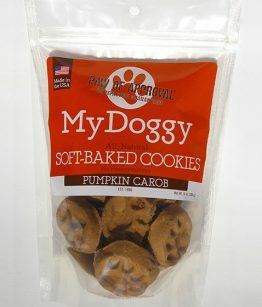 Pumpkin is great for a dog’s digestion and the carob is an all-natural, non-chocolate alternative to chocolate chips. 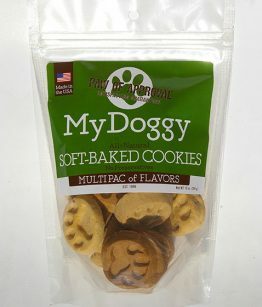 Bon Appetit!! 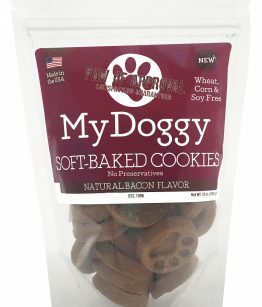 Ingredients: Rye Flour, Molasses, Palm Oil, Pumpkin, Glycerin, Carob, Eggs, Cinnamon.